So what’s a person to do? After all, you’ll probably need credit at some point in your life, since the financial world revolves around credit scores. The strength of your credit history is the deciding factor in car loans, mortgages, and qualifying for a credit card. Read on for a few ideas about what to do when you don’t know where to start. Before you apply for your first credit card or loan, you should check with the three major reporting agencies (TransUnion, Experian, and Equifax) to make sure that your identity hasn’t been stolen and used to apply for credit. If your identity has been stolen, you’ll want to clear this up with the credit reporting agencies before applying for more credit, especially if your score has been damaged by the thief. (An important note: the three agencies must report to each other about any inaccurate information, so you shouldn’t have fix the same problems three times.) The best way to get started on this step is to go to annualcreditreport.com, which gives you a free credit report from each of the three reporting agencies. Even though bank account history isn’t part of a credit report, having a solid bank account can show that you are financially responsible. A record of regular withdrawals and deposits can help your case. Checking or savings account history can be particularly helpful if you apply for a credit card through your bank. But beware that even though positive bank account information won’t show up on a credit report, negative information definitely will. The main credit score that lenders use is the FICO score (which doesn’t use bill payment history), but sometimes lenders pull from other sources as well. In fact, some scoring models rely heavily on bill payment history. So make sure that you always pay all of your bills on time. There are a few ways other people may be able to help you establish credit history. One option is to get a close friend or a family member to co-sign on a loan with you. That way, the lender can look at that person’s established credit history to make a decision (rather than making a decision about risk based on your scanty history alone). But make sure that your co-signer has a good credit, and remember that both of your scores will be harmed if you have problems making loan payments. Here’s another option: if you have a close family member with solid credit history, ask if you can become an authorized user on his or her credit card account. That credit history will become part of your own, which will increase your score. But before doing this, contact the credit card lender and make sure that it will report the history in your name (some lenders don’t do this). Another option is to become a joint account owner, but it’s important to know that you will then become responsible for all the charges on the account, which is not the case if you are just an authorized user. 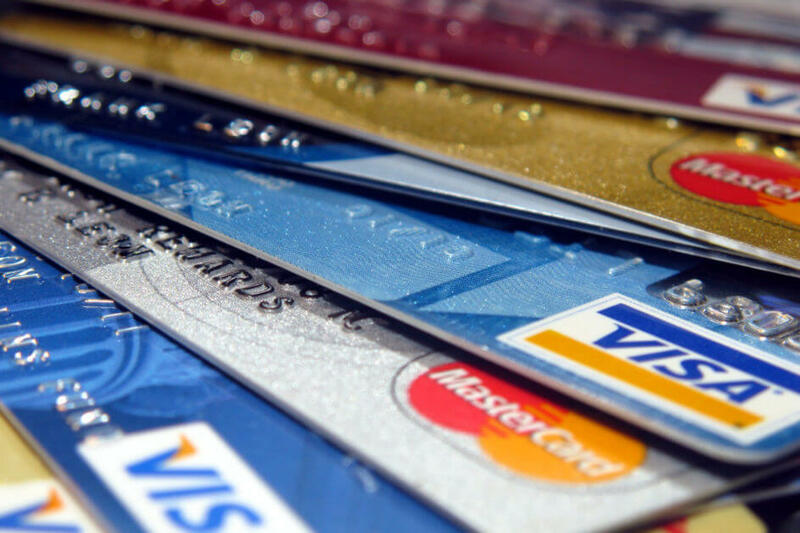 Most credit cards are unsecured (that is, there’s no collateral to back them up), but you can sometimes get a secured credit card (like through your credit union, for instance). Your spending limit will be whatever you have in the bank to back up what you’re spending, but the money doesn’t come out of your account like it does with a debit card. If the secured card isn’t through a bank you have an account with, you will have to deposit money equal to the amount of your credit line. Just make sure that the lender reports to the credit agencies, or you won’t be building your credit at all. After using a secured card responsibly, you can ask to be upgraded to a traditional card. Another option is to apply for credit at a few places where you do business. Stores often offer cards that can be used only in their stores but otherwise function like a credit card. Timely payment for purchases on a store card shows that you are responsible with credit. Last, a word on bank loans: credit cards are usually an easier and less expensive way to build credit than personal loans. Loans require you to pay interest, which you don’t have to do if you pay your credit card balance in full every month. But some credit unions do offer small personal loans at lower interest rates than traditional banks, which may be beneficial if you can’t establish credit in another way. Another option is a secured loan, for which you would use a savings account or a certificate of deposit for collateral (since this is minimally risky to the lender, you are likely to be approved for such a loan).